Dell provides IT solutions and services, everything from servers to storage and laptops to desktops. Chaos has worked with Dell for many years on internal comms, helping the business go through business transformation, CSR, HR and ERP initiatives. 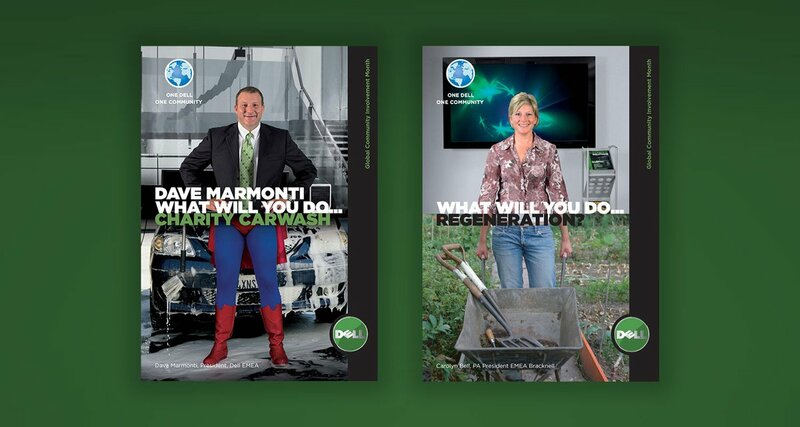 We've also consulted on sales showroom design and emergency planning communication guides. 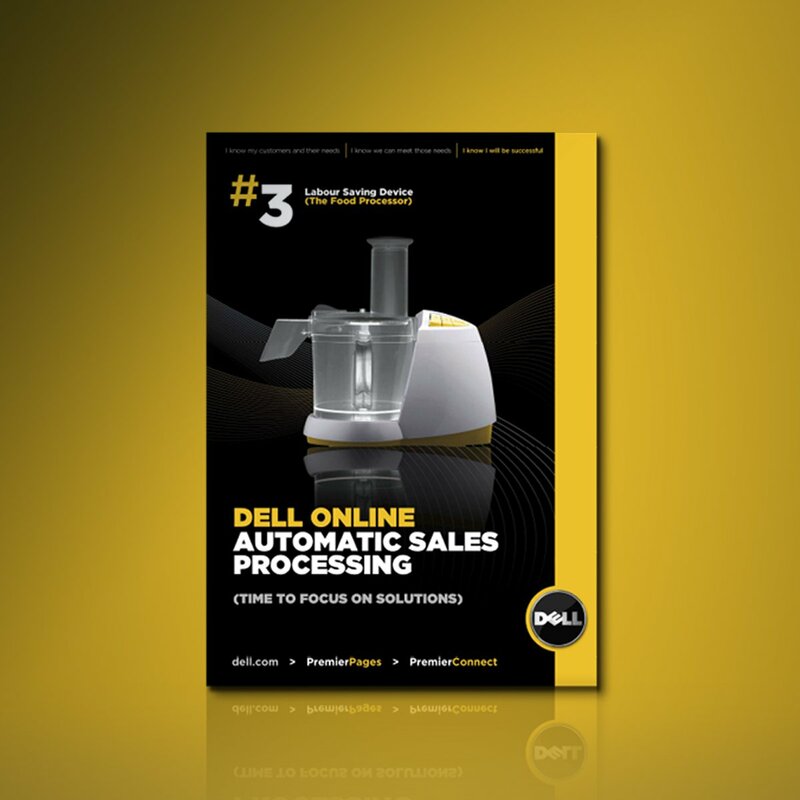 In launching their new customer sales portal, Dell Online, Dell wanted to encourage their Sales Team to get customers using it for smaller product orders, giving the Sales team more time to concentrate on more complex solutions sales. With time saving being the big benefit for the sales staff, we showed this through a series of posters showing labour saving everyday items, supported by the campaign messaging Labour Saving Devices - Dell Online - Time to focus on solutions. Awareness and staff ‘buy-in’ was heightened by making the poster campaign a countdown to the launch. 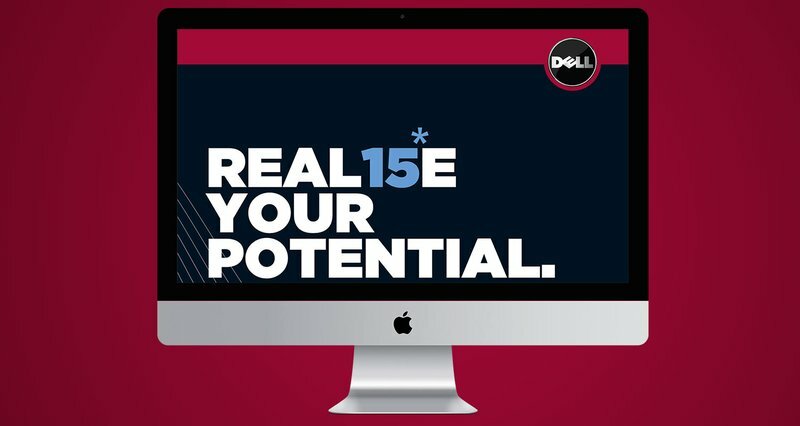 As part of its CSR community initiative (One Dell One Community), Dell expects its employees to undertake charitable work or activity for one day a year. Chaos were asked to encourage the practice and make it a positive experience that staff would enthuse about. Using the idea of a fun visual split between work persona and charity persona, we took real employees and photographed them to create fun, standout posters and desk drops. Nothing sets a better example to everyone than a Board Director with a business suit top and pink rabbit suit bottom! 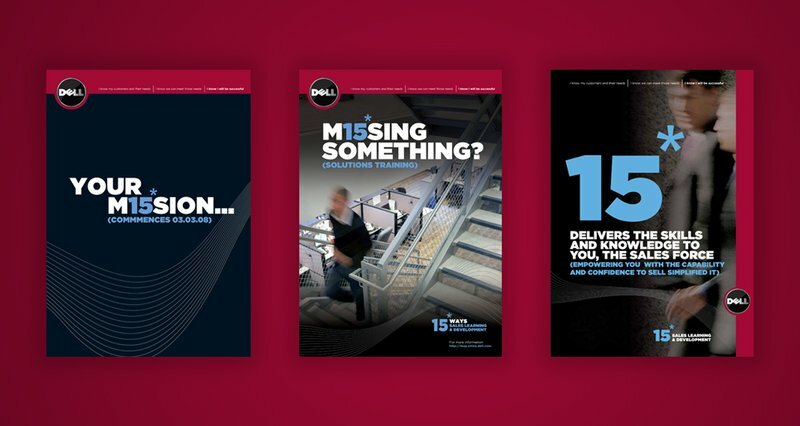 Dell asked Chaos to rebrand and rejuvenate their EMEA Learning and Development programme, helping their sales force improve as a team and increase sales. Analysing the brief, we noticed the coincidence of 15 key training initiatives and 15 days annual training time per employee. So we called the programme 15, adding benefits to the initiatives and timeline through a clever and flexible messaging device; 15 ways, 15 days, 15 pays. This demonstrated clear benefits for employees and for Dell as a company. Chaos delivered the full integrated programme of website, literature, posters and course guides.